I make art to remind the viewer of how beautiful the details of the world are. By breaking the plant down to the simplest form, the silhouette, the viewer is able to admire the elegant shapes and simplest details of each individual plant. The chosen colors and materials of each artwork further emphasize the character and are meant to encouraging and optimistic. Other than the natural outdoors, I am inspired by botanist, naturalist and explorers from our past such as John Muir, Anne Pratt and John James Audubon. Surrounded by antique botanical and ornithology prints at my day job, I can't help but be inspired by these masterpieces. The mix of fine art and graphic design is of constant interest to me. You may enjoy looking through the antique prints here on my website. I have been documenting artwork as a means to discover it. And I've been selling it as a means to collect more. I live in Chicago and grew up in the Midwest. My education is in design, my day job involves digital imaging and photography, but my mind will always be with nature and animals. Making my artwork allows me to explore nature. 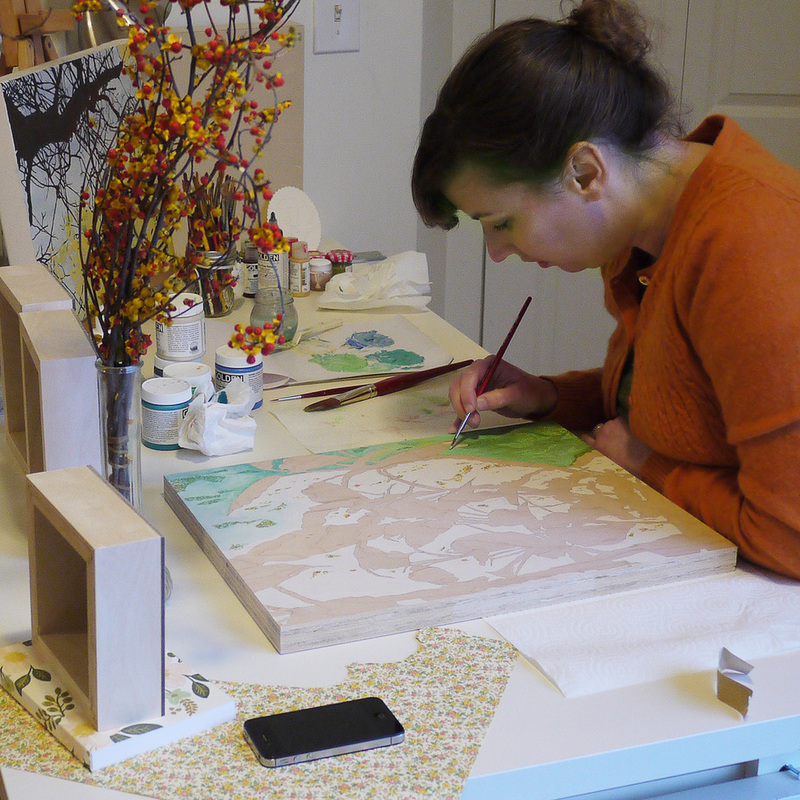 All of my original artwork is handmade by me in my home studio. All print editions are printed and digitally prepared by me at the professional print shop I work at. All materials are of the highest quality and archival standards. Search hundreds of affordable one-of-a-kind antique prints, original artwork, and handmade botanical prints. Browse my older artwork here. eBay - antique prints, etc.